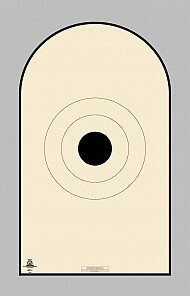 Shoot-N-C 6 inch self adhesive target with repair pasters. 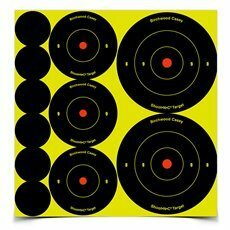 (10 per package) Stick it, shoot it, and see the bullet hole with color ring around. 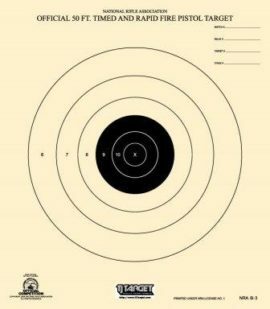 Can be used at any distance, but 25 yard pistol is the NRA standard size. 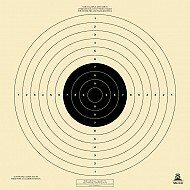 AP-2 paper target – AP-2 hard paper stock competition target.